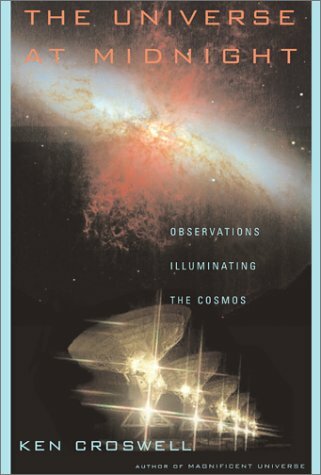 Ken Croswell has eight astronomy books--so you may wonder which one is best for you. The purpose of this FAQ is to answer your questions about these books. 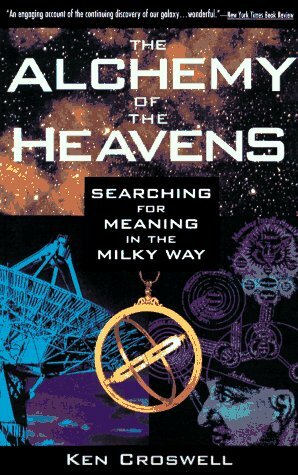 The Alchemy of the Heavens is about the Milky Way Galaxy--the story of how astronomers deciphered its structure and origin, as well as how they learned that elements such as oxygen, iron, and gold arose in the Milky Way's stars. Planet Quest is about the discovery of new planets, both in our solar system and, beginning in the 1990s, in other solar systems. Magnificent Universe is a big, beautiful survey of the entire universe--the planets, the stars, the galaxies, and cosmology--with a hundred large, full-color images. 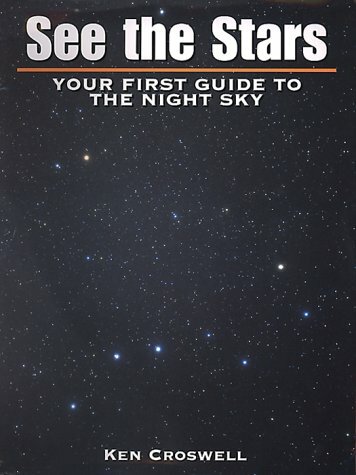 See the Stars is the simplest guide ever written for identifying the constellations--and you don't need a telescope to use it. The Universe at Midnight is about cosmology--the big bang, the origin of the universe, the accelerating universe, and the fate of the cosmos. Magnificent Mars is a big, beautiful study of the red planet, using the same elegant format as Magnificent Universe--with large, full-color images and maps of Mars. Ten Worlds is an introduction to all the planets of the solar system, including recently discovered Eris, and features the best color images of each planet. It also describes the controversy over Pluto's planethood. The Lives of Stars is an introduction to stellar evolution--how stars are born, live, and die. Who's the audience for these books? Will I understand them? Ken Croswell's books are written to be read. They're meant to be clear and accessible enough for nonscientists to enjoy, while being so substantial that even professional astronomers will learn new aspects of their field. You can read excerpts from each book here. From easiest to hardest, how would you rank the books? See the Stars and Ten Worlds are the easiest; both are suitable for children, although many adults have bought them for themselves. Both books are perfect for beginners. The Lives of Stars is next. It too is appropriate for both children and adults, but it's at a slightly highly level than Ten Worlds. Magnificent Universe and Magnificent Mars come next. Both are adult books--as well as big, beautiful, coffee-table books. Planet Quest, about the search for new planets, comes next, followed by The Alchemy of the Heavens. Ken Croswell's most challenging book is The Universe at Midnight. It's about cosmology, an inherently difficult subject. Which books have lots of color photographs? These books are loaded with color images: Magnificent Universe, Magnificent Mars, Ten Worlds, The Lives of Stars, and See the Stars. 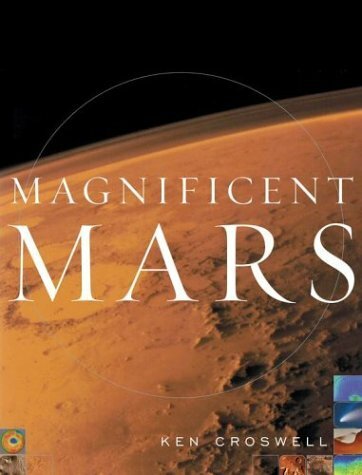 Magnificent Universe and Magnificent Mars are very large; each book weighs nearly five pounds. Ten Worlds, The Lives of Stars, and See the Stars are shorter and lighter, but they also contain lots of beautiful color photographs. Which books don't have color photographs? Three books are mostly or entirely words: The Alchemy of the Heavens, Planet Quest, and The Universe at Midnight. Are any of the books full of equations? No. Ken Croswell studied math so you don't have to! I'm looking to learn the constellations--I don't know anything more than the Big Dipper. Which book is right for me? See the Stars is the simplest constellation guide ever written. It teaches you one bright constellation each month, and you don't need a telescope or a very dark sky to use it. See the Stars works even if you don't know the Big Dipper yet. In fact, the Big Dipper is on the book's cover. I like astronomy but don't know much about it. Which book should I get? Magnificent Universe is a broad survey of the entire universe, starting with the planets of our solar system and progressing outward: to the stars of our Galaxy; to nearby galaxies; to distant galaxies; and finally to the overall universe. I'm really into the big questions astronomy addresses: how the universe was born, what it's made of, what its fate will be, the nature of curved space, etc. Do you have a book for me? Yes--in fact, two books. First, if you're new to astronomy, you might want to read the fourth and final chapter of Magnificent Universe. That chapter is a simple introduction to cosmology, the branch of astronomy that deals with the origin, structure, evolution, and destiny of the universe. 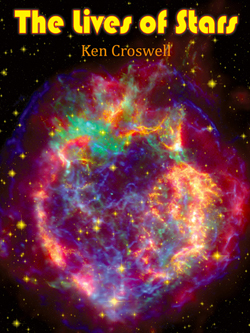 If that whets your appetite, then be sure to read The Universe at Midnight, Ken Croswell's book about cosmology, including the big bang, the steady state, Olbers' paradox of the dark night sky, dark matter, superclusters and voids, the Hubble constant, omega, lambda, and the age and fate of the universe. I'm planning to visit Mars next week. Which book is right for me? Magnificent Mars--it's full of beautiful images and rainbow-colored topographic maps, which will keep you from getting lost on the red planet. Although Magnificent Mars weighs five pounds on Earth, it weighs only two pounds on Mars. I'd like a book about all the planets of the solar system, including newly discovered Eris--the world that's three times farther than Pluto and bigger than Pluto. Which book is right for me? Ten Worlds describes the ten largest worlds orbiting the Sun--including Pluto and newly discovered Eris--plus the Sun, the Moon, Io, Europa, Ganymede, Callisto, Titan, Triton, comets, meteors, and asteroids. The book also discusses the debate over whether to classify Pluto and Eris--formerly known as "Xena"--as planets. So Ten Worlds talks about the current planet controversy? "Even though it's small, Pluto is still bigger than any asteroid. Yet it's smaller than any planet. So--what is Pluto? Is it the biggest asteroid? Or is it the smallest planet? You decide!" This is also why the book is entitled Ten Worlds and not Ten Planets. However you prefer to classify Pluto and Eris, Ten Worlds describes the ten largest worlds that orbit the Sun: Mercury, Venus, Earth, Mars, Jupiter, Saturn, Uranus, Neptune, Pluto, and Eris, showing large, beautiful images of each. Does Ken plan to delete Pluto from his books? 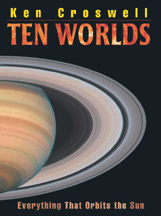 Ten Worlds has an entire chapter about Pluto. In fact, Ten Worlds devotes just as many pages to Pluto as it does to most of the other planets--Mercury, Venus, Jupiter, etc. And the data table in the back of the book gives just as much information about Pluto and Eris as it does about the eight planets from Mercury to Neptune. Should I buy the first printing or the second printing of Ten Worlds? The second printing. Its cover has TEN WORLDS in orange letters. Both printings feature full chapters on Pluto and also Eris, but the second printing includes the name "Eris" and has the most up-to-date data. For a thorough comparison of the two printings, please click on the cover of TEN WORLDS. The ISBN of the second printing is 978-1-59078-531-7. I'd like a book about the origin of the elements--where did hydrogen, helium, iron, oxygen, carbon, gold, and silver come from? The Alchemy of the Heavens describes the true alchemists: the stars that have transformed the hydrogen and helium from the big bang into the heavier elements that we and our planet are made of. I want a book on extrasolar planets--planets orbiting other stars. Then Planet Quest is the book for you. It describes the centuries-long quest for new planets, first in our solar system, then around other stars than the Sun. Is there a book on stellar evolution--the birth, life, and death of stars? Yes: The Lives of Stars. I want a book about the Galaxy--our Galaxy, the best galaxy in the universe. Ken Croswell earned his Ph.D. for studying our Galaxy, so he shares your prejudice! The Alchemy of the Heavens is the book for you. Which books are suitable for children? See the Stars, Ten Worlds, and The Lives of Stars are all suitable for children, although adults have also bought them for themselves. In addition, children are sure to enjoy the color photographs in Magnificent Universe, although Magnificent Universe is an adult-level book. Which books contain lively interviews with professional astronomers? Three books do: The Alchemy of the Heavens, Planet Quest, and The Universe at Midnight. Remember, you can read excerpts from all books here.